AIIMS Delhi Admit Card @ aiimsexams.org. 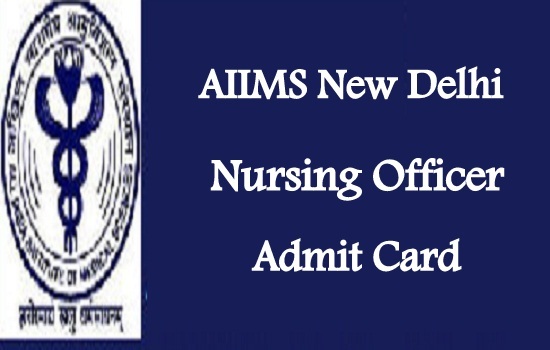 AIIMS Delhi Admit card 2019: AIIMS Delhi Nursing Officer Admit card will be available from April/May 2019 on its Official website aiimsexams.org. All India Institute of Medical Sciences, New Delhi has recently released the Recruitment notification of Nursing Officer (Staff Nurse-Grade-II)- Group ‘B Posts of 2000 Vacancies on its Official website aiimsexams.org. A huge number of candidates applied for the AIIMS Delhi Jobs and they have started their exam Preparation for the AIIMS Delhi Nursing Officer Written examination 2019. AIIMS Delhi is going to conduct the AIIMS Delhi Nursing Officer Examination on 7th January 2019. So all the Candidates who have applied for AIIMS Delhi Jobs should download the Admit card from its Official website aiimsexams.org. Latest Update: AIIMS Delhi Nursing Officer Exam Date is January 7th is postponed, new exam date is released soon. Candidates can download the AIIMS Delhi Admit card from its Official website aiimsexams.org and also from Jobsbadi.com. Here in this page the Candidates can get the Complete Information about AIIMS Delhi Nursing Officer Examination Like, exam date, Admit card, Answer Key, Result, Merit List, etc. So all the Candidates are requested to keep in touch with our Jobs portal For more and latest Government Job Updates. To download the AIIMS Delhi Staff Nurse Call Letter 2019 it is only possible through online mode only. And you have to enter the AIIMS official website and then enter the details like Enrolment ID and Password. So be ready with the password and Login ID at the time of Hall Ticket release. And the candidates whose Application is rejected cannot download their AIIMS Delhi Nursing Officer Call Letter 2019. 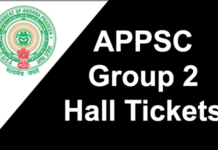 Don’t be confused to get the download link for the Admit Card from the official website because the direct link to download the AIIMS Delhi Nursing Officer Hall Ticket/Admit Card 2019 is given below. Log on to the Official Website aiimsexams.org. On the Home page, Search for AIIMS Delhi Nursing Officer Admit Card 2019. 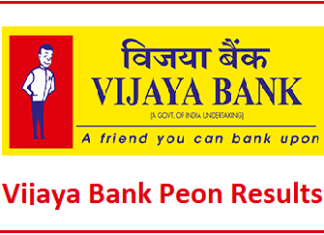 Click on the Available Link to Download the Admit Card.